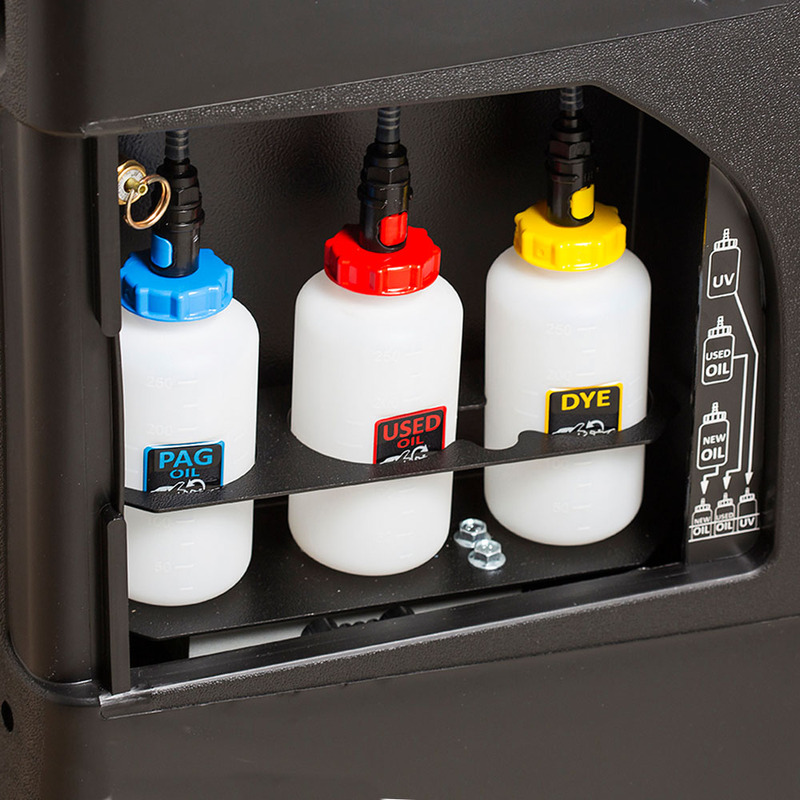 Automatic Dye Injection With refillable containers and electronic scale. Each service is saved in station memory, offering the option of creating a customised archive of all refrigerant transactions. The station checks for leaks during the vacuum phase. If leaks are found, it interrupts operation and gives an alarm. The popular and widely held “basic model” of Ecotechnics. For the refrigerant R134a or HFO1234yf, this device is ideal for those who are looking for the reliability of Ecotechnics, but do without some features to keep the investment for the purchase as low as possible. 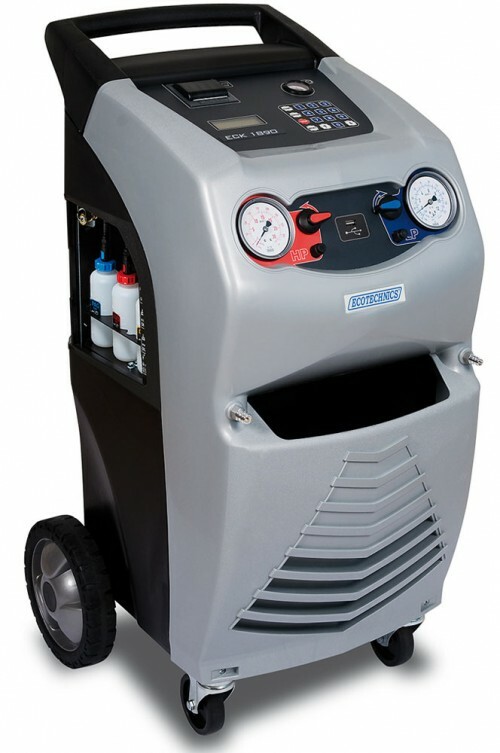 ECK-1800/1890 – Fully automatic A/C service station for recovery, recycling and recharging with the refrigerant HFO1234yf or R134a. The high refrigerant recovery rate ensures today’s undeletable contribution to environmental protection. The service valves are operated manually. ECK-1800/1890 – The patented and compact aluminium recovery unit is a great advantage. During the recovery phase, a lot of heat is generated and the refrigerant is cleaned of mechanical residues, oil, acid and water and stored in the internal tank. The patented recovery unit shortens internal lines and paths, increasing efficiency and reliability. Even at high outside temperatures and very strong use, the operating speed does not decrease during the recovery phase. A/C service stations from Ecotechnics work at outside temperatures from +11 °C to + 49 °C degrees. ECK1800/1890 – Easy to use. The alphanumerical display guides the operator through the logical and professional menu navigation. The data input is made on a separate keypad with additional function buttons. The menu navigation is Ecotechnics-like and guides even inexperienced operators safely through the A/C service. ECK-1800/1890 – Practical and fast! The compensation of the service hose length takes place automatically. The pressure sensors can be easily calibrated. The discharge of the “non- condensable” gases from the internal tank takes place manually and the operator is guided by the menu navigation. 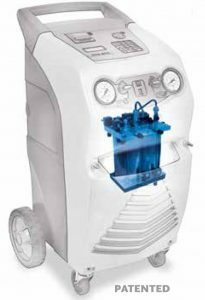 The special feature is that the tank temperature is read out electronically and the corresponding pressure to be reached is shown in the display – no time spending research for the steam pressure table! 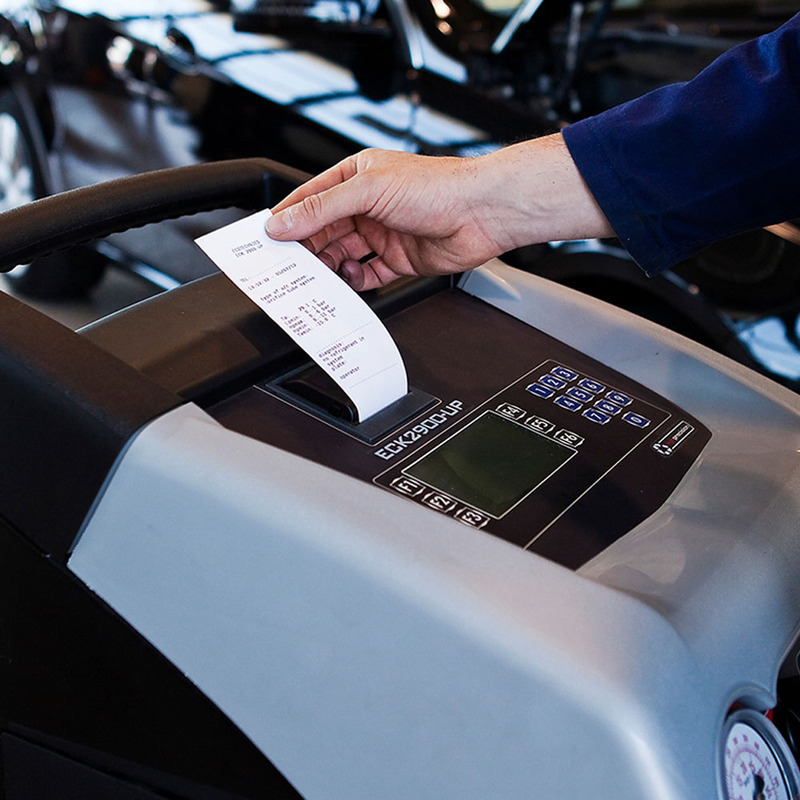 Thermal printer, heating cable, static diagnosis, the option with a flushing kit to clean parts of the A/C system, as well as economically and professionally designed components create the basis for this workshop- based basic professional A/C service station. ECK-1800/1890 – The workshop-oriented design is user-friendly and suits to the workshop needs in two versions which also differs in colour. 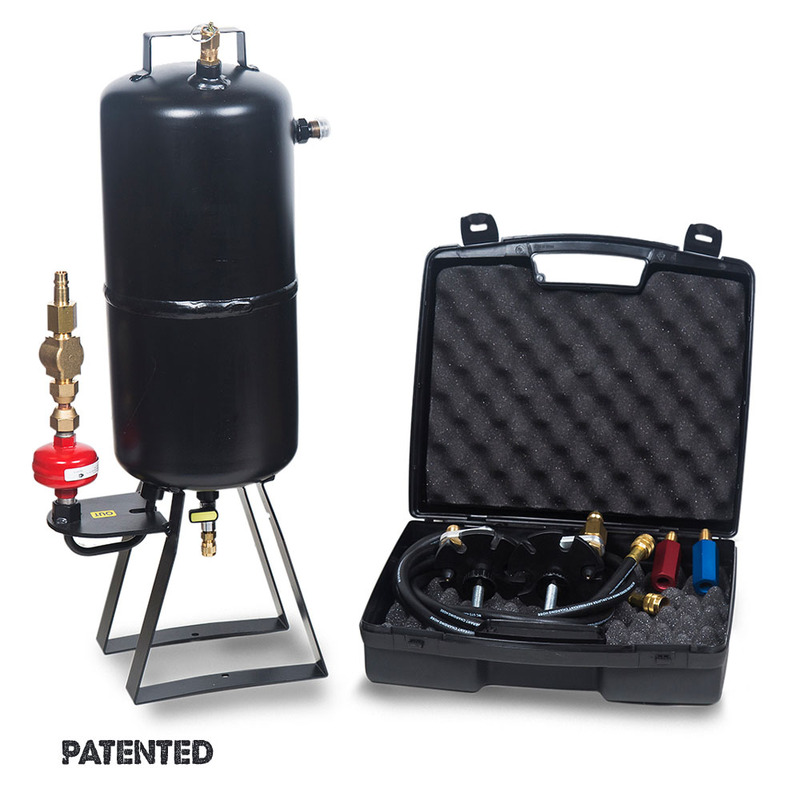 With the blue ECK1800, the pressure gauges are arranged vertically and the hose storage box is positioned laterally. The grey ECK1890 has the hose storage box and the horizontal pressure gauges on the front of the unit. ECK1800/1890 – The A/C system pressure test can be worked out very quickly by the manual service valves and helps to measure up the A/C system. ECK1800/1890 – The patented diagnostic feature can assist the user in troubleshooting the vehicle. 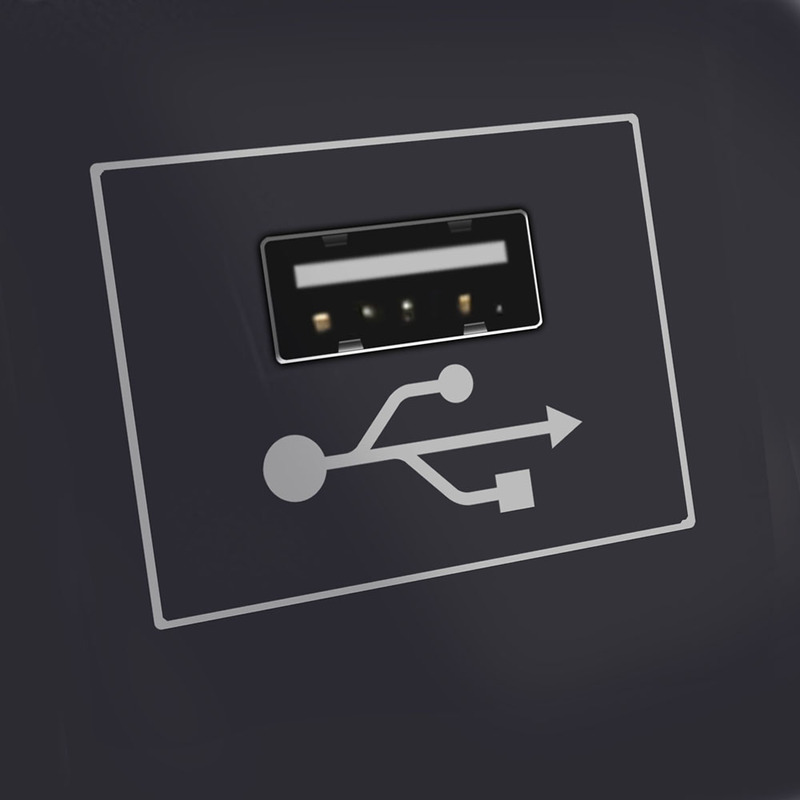 In static diagnostics, the user enters the required data into the machine via the menu and a printout is made of the possible error sources.